On party lines, the four GOP senators on the chamber’s Judiciary Committee advanced SB 1046, which would restrict how voters who sign up for the Permanent Early Voting List, known as PEVL, can cast a ballot. Current law allows them to return those ballots by mail, or hand-deliver them to election facilities at any time leading up to or on election day. Some voters like to wait until the last minute – 228,000 mail-in ballots were dropped off at polling sites on the day of the 2018 general election, according to the Secretary of State’s Office. Sen. Michelle Ugenti-Rita said eliminating those so-called “late-early” ballots will help speed up the announcement of election results, and would temper frustrations from the 2018 election, when several races were too close to call for more than a week after election day. County officials testified that the Scottsdale Republican’s logic is flawed. Whether they’re mailed in or not, people like holding onto their ballots as long as possible, said Jennifer Marson, executive director of the Arizona Association of Counties, so ballots mailed at the last possible second would still pile up on election day, too. 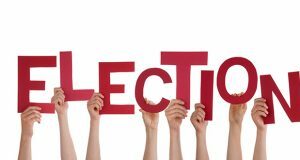 “The counties believe voters should have the opportunity to turn in that ballot regardless of when they received that ballot,” Marson said. If more voters use the alternative provided in Ugenti-Rita’s proposal by voting in person on election day, in the event they forget to mail their ballots back on time, voters could experience longer lines at the polls and more costly elections, said Rivko Knox of the Arizona League of Women Voters. That’s really all beside the point, Knox said, because the bill is trying to solve a problem that doesn’t exist. While Republicans have complained that ballots took too long to count, recorders took roughly the same amount of time to count votes in 2014, 2012, and other elections, Knox said. “The difference was that several elections were very close,” she said, meaning competitive races highlighted the vote-county process. Many of those close races resulted in victories for Democrats to key statewide offices, even after initial vote tallies on election night favored some Republican candidates. Yavapai County Recorder Leslie Hoffman said there is one scenario in which Ugenti-Rita’s bill would speed up the vote-counting process. Ugenti-Rita later dismissed the criticisms of the county election officials as beyond their purview. The committee’s three Democrats criticized the bill for ignoring the expert advice of officials who conduct the elections. In addition to failing to produce more timely election results, Sen. Martin Quezada cited testimony that the policy change would sow confusion among voters. Farnsworth said that Arizona voters will still have ample opportunity to vote. Republicans also approved another Ugenti-Rita to bill that requires voters to produce ID to cast ballots at in-person early voting sites. Current law only requires ID to vote on the day of the election – early ballots, whether cast in person or by mail, have historically used a voter’s signature as their ID. 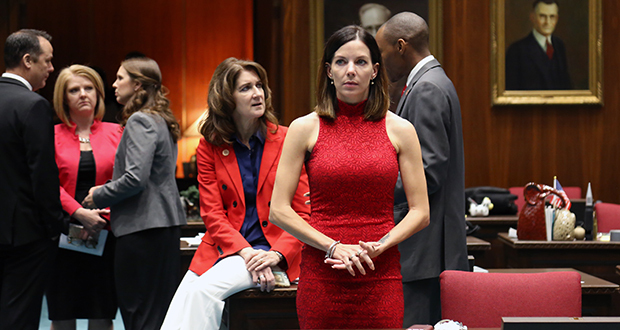 Sen. Andrea Dalessandro, D-Tucson, said she feared SB 1072 would disenfranchise older and low-income voters who might not have access to a traditional driver’s license for identification. Democrats and Republicans did find one bill to agree on. SB 1072, also sponsored by Ugenti-Rita, would create uniform standard for all 15 counties in Arizona when allowing voters to “cure” their ballot and ensure it’s counted. As approved, the bill only provides a curing process for early ballots with missing or “illegible” signatures during a period of five business days after an election. Ugenti-Rita expressed willingness to amend it and provide opportunities to cure a vote if there’s an issue with the signature beyond legibility. SB1046 would eliminate a means of voting that was important to nearly a quarter-million citizens in the last general election. A means of voting is a freedom, a freedom that should not be relinquished unless our elections officials (county recorders and Secretary of State) tell us there’s an absolute necessity to do so. Ugenti-Rita has not shown any necessity to cut off an avenue to the ballot box. Moreover, county recorders and Secy of State are telling us if it ain’t broke, don’t fix it. SB1046 deserves to be defeated. Ms. Rita is lying. A simple look at what this bill solves, what it does, and what it’s possible ramifications are yields only one conclusion: less people will vote. There is no expediency here. This is that tried and not-true facade of simply saying that something is different from what it actually is, knowing your statements are not true, and figuring people will either believe you out of ignorance or prejudice. Farnsworths “ample opportunity to vote” statement is more of the same non-truth, attempting to hide the fact that voting opportunity is reduced by this bill. These legislators might gain some credibility by being honest and saying that they want disadvantaged voters to vote less. How long it takes to count the votes is not important, getting the count right, does. Instant gratification is not the objective, encouraging honest voter participation is. This bill is a step backwards.